Teachers at Rosa Parks Elementary in North Portland are successfully sharing sensory tools with their students in general education classrooms, after a recent training offered by The Shadow Project. Click here to see a video on how the tools are working. Rosa Park is the first public school in Oregon to ask for and receive the Shadow Project’s Sensory Tool Kits and teacher training. 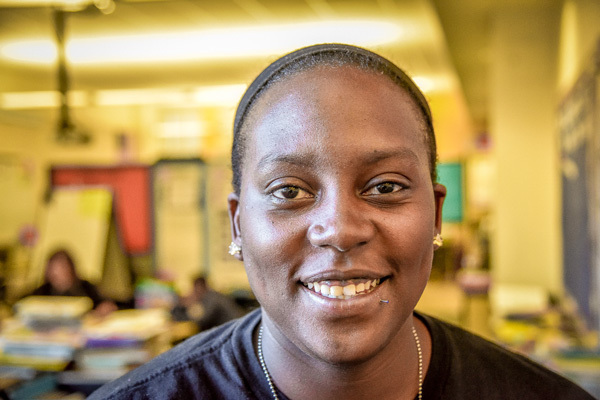 In a June 2015 Portland Public Schools survey, 60 percent of the district’s staff members felt they needed more professional training, mentorship, or other support in serving special education students. “We have wonderful sensory libraries from The Shadow Project in the learning center and counselor’s office,” said Principal Tamala Newsome. “But kids need to be able to access sensory tools in whatever classroom they are in, so they are supported throughout the day. 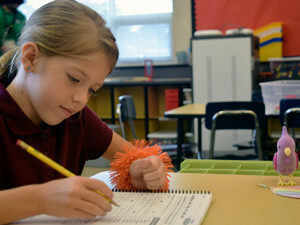 Children in special education who are on (IEPs) Individualized Education Programs need the sensory tools for when they are in their general education classrooms and elsewhere in the school. But the tools are also a benefit for the “children of the gray” who have not been identified for special education but clearly need sensory help. 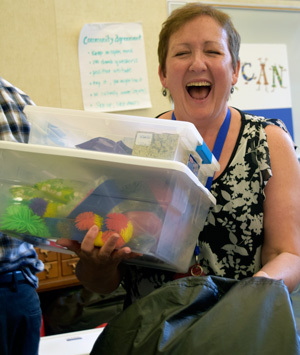 The Sensory Tool Kits for each K-5 teacher included one dozen hand-held fidgets selected by Rosa’s occupational therapist Martha Thomas, O.T., as well as kinetic sand and beanbag chairs. Teachers were trained on how to work with kids on selecting the fidget that works best for them.